Comments From Geo’s Media Blog. Steven Smith: George…I really enjoyed your article entitled, Sales Promotions. Nice to read history written by a guy who was there. Doug Chapell: George, Funny thing between Canada and the USA many Canadians think it is wrong for Trump to want to have the Southern border secure from Latinos crossing illegally into the USA BUT they are also pissed that Trudeau is allowing/encouraging illegal immigrants flowing across the border at Champlain NY into Quebec “OTTAWA – Canadian officials in Nigeria are working with the U.S. on developing tools to flag Nigerians applying for U.S. visas who may be at “high risk” of crossing illegally into Canada across the U.S. border. Geo: All countries think that the folks that they don’t want are much worse than the people that other countries don’t want, Doug. Tom Hoyt: George, I love ya man…..but as I see this weekly, I am bemused by your always referencing Canada and Fairbanks. Great stories but what about KFROG and the stuff Joe asked you to do? Every once in a while I see a reference to Joe and Betsy, but KFROG was also a big success…Joe w’ the investment $ and yours truly executing the plan…..I was there for 16 years, with Amaturo, American Radio, and CBS and many of the folks I put in place are still there today. Scott of The Frogmen in the Morning, Leslie Bischoff the Marketing/Promotions gal, Michael Valenzuela, a sales guy I hired from XEROX who is Entercom’s Market Manager today, and 3 or 4 AE’s still selling. Geo: Ahh, but I do have some Frog stories, Tom, after being involved with the Frog for a few years. I remember your new bride from Russia saying after she finally arrived in America, “Tom, I can’t believe that you live this close to Disneyland (50 miles) and you’re not there every day? Or how about you and I being very aware of the fact that he who has the best-looking ladies on their arm at the party, owns the party. I remember our killing it that night in Malibu. Then there’s the night after eating at Spago’s in Beverly Hills; you graciously carried a fair maiden’s doggy bag to an exclusive club down the street. They, of course, got right in, but we after getting some disparaging looks from the bouncers who were eyeing your cute bag, were rejected. Also, I was amazed by your ability to get a Cardinal to bless the new studios, and I loved his Cowboy boots and the great rating book that event provided us later on. Tom, the Muses give me this stuff, but they do it chronologically, I’m not at the Frog days yet, but I will be, buckle up! Steve Michaels: KZZY to KLLS in San Antonio. I didn’t know what greatness I was with when I was in the Alamo City. Thanks, George! Jim Ford: I loved the Class FM format which I listened to in Wichita on KLZS. It played mostly currents and recurrents and didn’t get too old. I really liked the concept. Glen Livingston: Thanks, George. Winnipeg’s loss was our gain when Daryl B relocated to Vancouver and became a CKLG boss jock. Listening to his show was the highlight of my day! Geo: Daryl was not only a great friend of mine Glen, but he also produced my first record plus got me the Music Director’s job at CKY which kick-started my radio career. Geo: They’re just a heartbeat away from jail at all times Jenn Jenn. Polite/nice/kind of you to use the word “demise” of KVIL in the first sentence. Of course, we all (especially those of us named herein) know the bottom line is “death.” The whole thing is truly a heartbreaker. I tuned in to 103 for about 30 minutes while driving in Dallas a few days ago…wanting to get a sense of the music, the station’s pace, the spoken content….its overall sound…its general mood. It was kinda tricky. Let me say that I’m sure the staff, management, consultants and whoever was putting it all together were doing their best to make it all work. Believe me, George, I happen to like a WIDE variety of music types…from dance to easy listening…rock, folk, ballads, R &amp; B, country…even hip-hop and Rachmaninoff!…to name only a few. Bottom line? At the end of the thirty minutes I realized I had no idea what I had heard…was it great?…was it good?…was it bad? Couldn’t say. The main thing I could quantify was that much of the music had that magical 120 beats per minute. Could Pandora or Spotify be today’s KVIL? I hear them EVERYWHERE! Geo: Yes, you’re right Jack, death is a better word, and she began dying when CBS installed their New York ways of doing things. Why do New Yorkers always think they know better? Kay-Ville began taking on water the moment they decided that Ron Chapman was an “oldies” jock. When they put Ron on KLUV, that was the end my friend, and she never recovered. I’m writing her obituary even as you read this. Mike Buxser I Enjoy your blog. Spent 50 years doing radio and loved (almost) every minute of it. Our old friend from home, Ermanno died of pancreatic cancer. I tried to help him with the alternative immunotherapy approach that saved my life from untreatable cancer 34 years ago. Ermanno was too far gone for it to work. Also, he had a nightmare in the hospital and pulled out all his tubes wrecking any hopes for him. Sad! Subsequently, four people with pancreatic cancer have tried the alternative approach I used and are alive, with no side effects. This approach is inexpensive and can’t be patented, so drug companies are not interested. The various cancer agencies seem to be caught up with the drug companies. Money keeps pouring in on the supposed ‘War on Cancer’ but outcomes remain mediocre at best, and terrible for pancreatic cancer. Pity! Geo: A very sad day for us all Willy. Geo’s Media Blog is an inside look at Radio, Music, Movies, and Life. 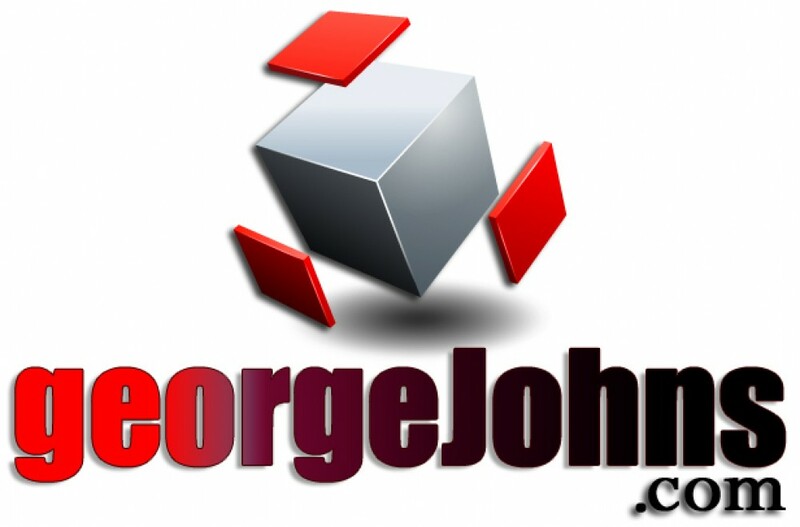 For a sneak peek at some upcoming Blogs, go to GeorgeJohns.com. On Twitter @GeoOfTheRadio. Sharing and comments are much appreciated. When I first came to KVIL, the AM & FM were simulcast and Fairbanks was fighting the FCC because of the high cost of real estate in Highland Park. For some reason, KFJZ decided to “help” by finding a dumpy place over near Oaklawn to rent and bringing that opportunity to the attention of the FCC. Sales Manager Jerry Bobo decided to thank KFJZ by having a staffer log spots for several days. Jerry then sent his sales force to Fort Worth with a very special deal for KFJZ advertisers. KVIL suddenly had a lot of Fort Worth business on the air (not a bad thing) and I know that KFJZ really appreciated it. Or not. Long before my time Hollis we launched the new KVIL in ’73 and aimed it at the new rating book which combined Dallas and Fort Worth. This brought several more millions of dollars into the market place in the form of National Business. They still continued the separate Dallas and Ft Worth books for a while and the first time we went #1 we were 3rd in Ft. Worth and 2nd in Dallas.